Islamic State (IS) fighters in Iraq and militant forces in Syria are often described as extremists, but they are more extremely barbaric than extremely religious. On Sunday, tunnels hand packed with explosives were detonated by “extremists,” blowing up the al-Sultaniyeh mosque in Aleppo, Syria, built between 1186-1216, sacred to Islam. Some regional media blamed Syria’s al-Qaeda affiliate, al-Nusra Front. Without pictures, the full extent of destruction isn’t yet known, but Syrian state TV said the mosque itself was destroyed, a result largely confirmed by American experts. Probably gone forever are delicate calligraphic carvings decorating external walls and inside floors as well as a soaring mihrab, indicating the direction of Mecca, framed in geometric loops and polygons of caramel, black, and white stonework — material evidence of Islam’s medieval refinement. It’s the fifth episode of a mosque being tunnel bombed this year according to Boston University archaeologist Michael Danti, who works with the university’s American Schools of Oriental Research (ASOR) to track cultural destruction in northern Iraq and Syria for the State Department in reports available online. Aleppo — Syria’s largest city, where archaeologists have found evidence of civilization back to the third millennium B.C. — is one of many places where intense combat is the main cause of damage to cultural heritage and religious sites. The situation around Aleppo is particularly complex because a variety of fighting groups have converged, including IS, whose rabid conquest of towns and small cities across northern Iraq and Syria coincides with important religious landmarks and cultural treasures. 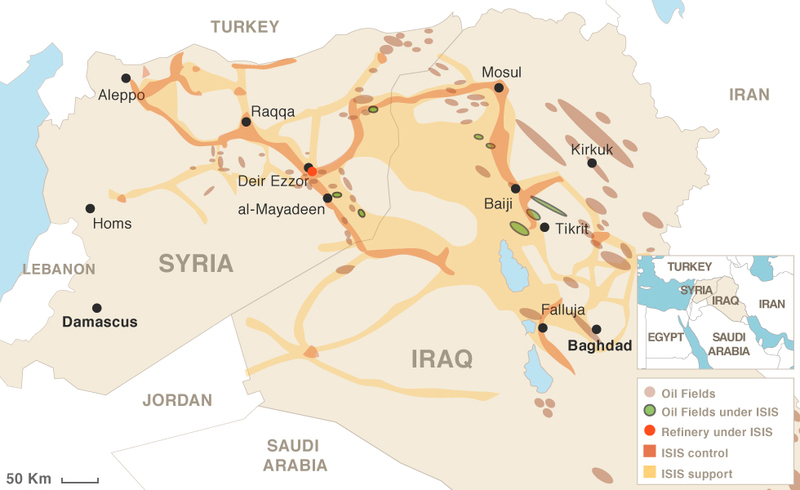 Two of the Islamic State’s most audacious — and sacrilegious — explosive operations against two religious sites occurred ten weeks ago in Tikrit, Iraq, as first reported by the BBC’s Arabic service. Militants destroyed both the 1,300-year-old Assyrian Christian “Green Church” and Iraq’s oldest Islamic shrine, Arbaeen Wali shrine, marking the tombs of 40 early followers of the prophet Muhammad, martyred in 637 A.D. as Islam expanded. Both religious sites are from the same era and prove the durability of a multi-confessional reality in the Middle East that lasted centuries. Erasing the Arbaeen Wali shrine hurts Islam. Every year, thousands of Muslim pilgrims typically visited it, located on a major road linking Mosul and Tikrit. IS swept into Tikrit after liquidating the town of Mosul’s minority populations last summer. After its murderous rampage, all 45 Christian institutions in Mosul were destroyed, converted into prisons or mosques, appropriated for use by combatants, or abandoned after being ransacked. These extremists have looted churches, chapels, museums with religious artifacts, diocesan offices, convents, monasteries, and a cemetery. IS has stolen heritage from the Syriac Catholic Church, the Syriac Orthodox Church, the Catholic Assyrian Church of the East, the Chaldean Catholic Church of Babylon, the Armenian Orthodox Church, the Evangelical Presbyterian Church, and the Latin Catholic Church; 2,000 years of Christian civilization ... obliterated. Hatred undoubtedly motivates the Islamic State and other extremists to defile Christian sites and sell Christian artifacts, but why would they treat Muslim holy places and sacred material, with just as much contempt? Ideology. To eradicate the history of shared space, to deny the fact that Christians and Muslims have co-existed for as long as there have been Christians and Muslims in this cradle of civilization, the past must be erased. Ancient mosques on the same square as old churches? It never happened that way. We saw this in the 20th century in the ideology of Leon Trotsky and the murderous Bolsheviks. And we see this today: the same ideology of universal and permanent war, chaos, the annihilation of cultures and religions that lived uninterruptedly for centuries together. Who is behind it all? The Godless. The makers of chaos. As it was in Babylon in the Old Testament, as it was in St. Petersburg in 1917, as it was in Mosul last summer, it is again in Aleppo. Until Muslims and Christians together identify “the criminals” and see our common cause, the destruction will continue … and on a larger scale.